odours, no matter what the source. Its odour elimination properties are second to none and leaves no residue, just clean, fresh air. Fresh, Clean Air, instantly and consistently ! After seven days the upstairs Lounge area, used by our EMI residents, was completely odour free. possible environment for my residents and staff and these units have helped me to achieve this. front door and there was a stale odour. 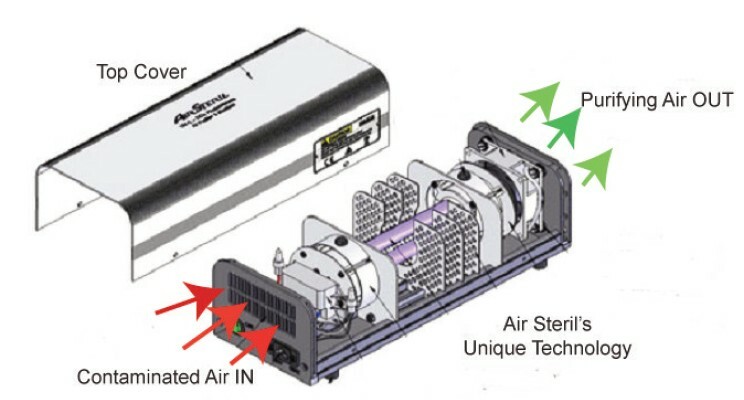 Air Steril has been installed for some weeks and there is a definite improvement. Steril to any care home with issues similar to ours.